It definitely has 'NEW ZEALAND' impressed but I can't see a number or anything. 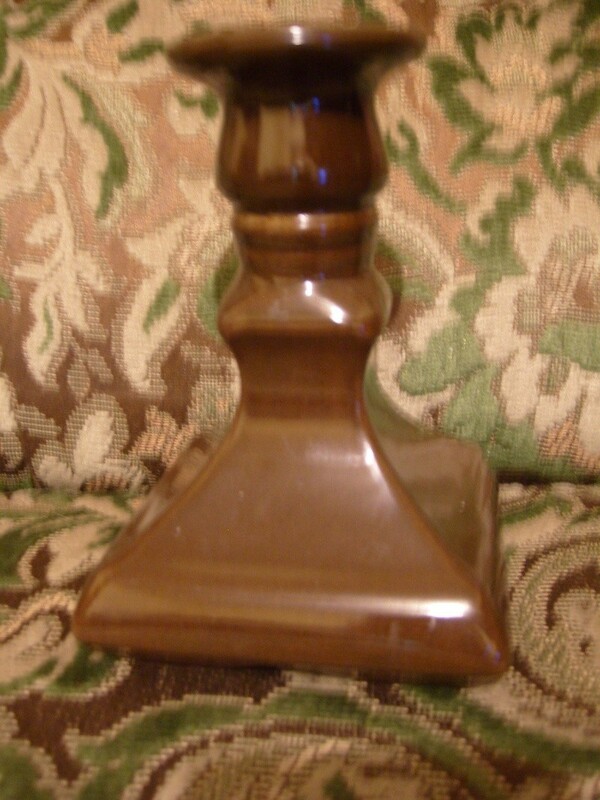 I have four of these candle sticks. 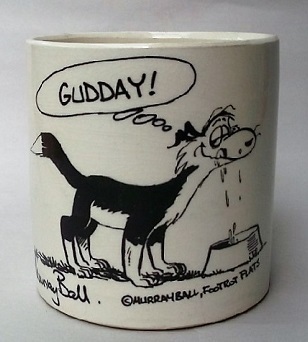 Brown glaze, black glaze and white glaze. 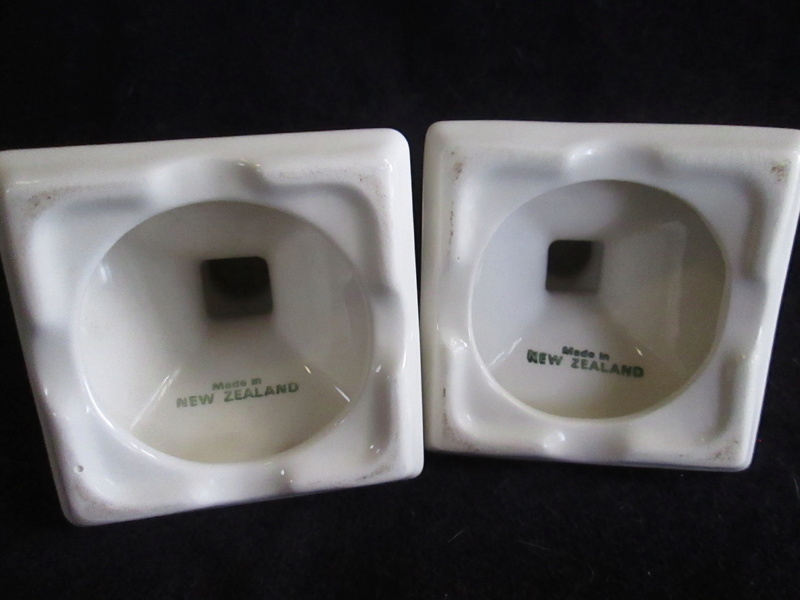 The latter is definately printed inside the base "Made in New Zealand" with the same printing that appears on a number of CL dinnerware. And I have a white matt glaze one, similar finish to the range of white cCL swans and pots. 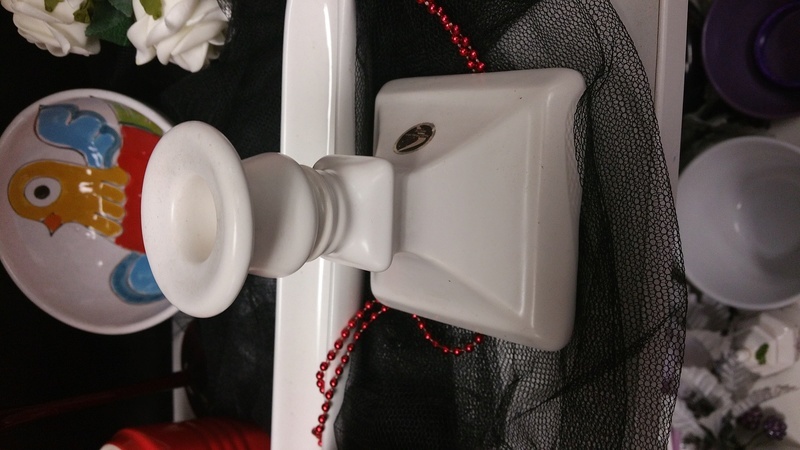 Yes I did see that listing on ebay that has the candle holders with Crown Lynn stickers on the bases. It helps to date that sticker .... probably to the early 1970's+ . "Made in NEW ZEALAND" stamp! 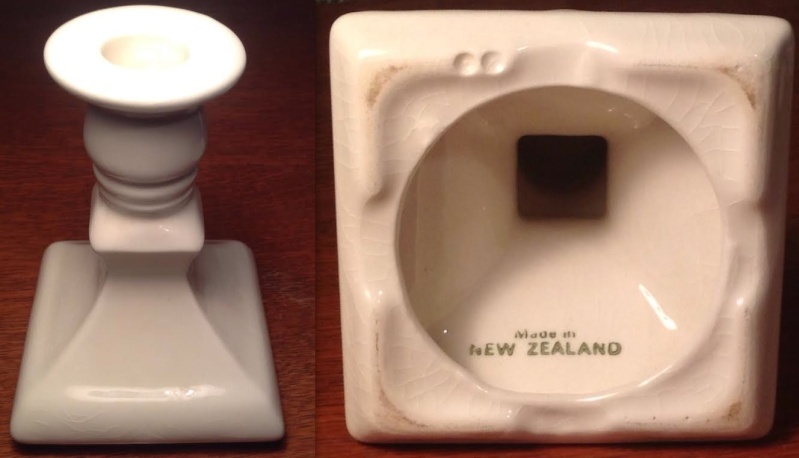 There is a green "Made in NEW ZEALAND" stamp, as mentioned by eldorado, above, on this Flower Beauty candle holder. I don't see it in the backstamp gallery. Apart from the differences you point out they look the same to me when comparing pictures. They may still turn out to be CL/Titian. 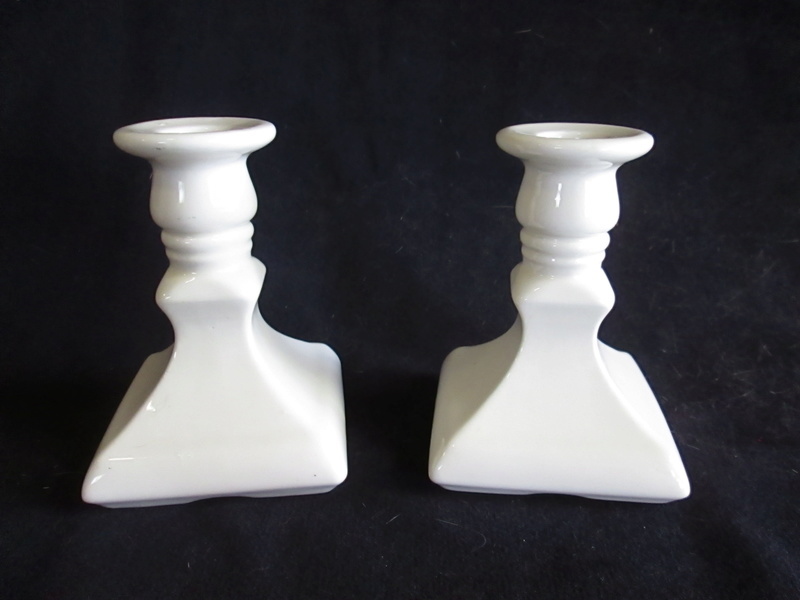 Remember that these were sold with vase bases, so the makers mark may have been on the vases. I'm going looking at Diana now. The one I already had must be English? The candle sticks... I had four of them . 2 white and 2 black all slightly different and I think maybe Australian. Anyways. I photographed this one that had its sticker ..."made in Australia " courtesy of the Restore op shop. Thanks for that Janice! Jim & I were looking at a roughcast white glazed one recently..
..so the circular inner rim underneath are the Crown Lynn ones..that will help ID the ones with no stamp. 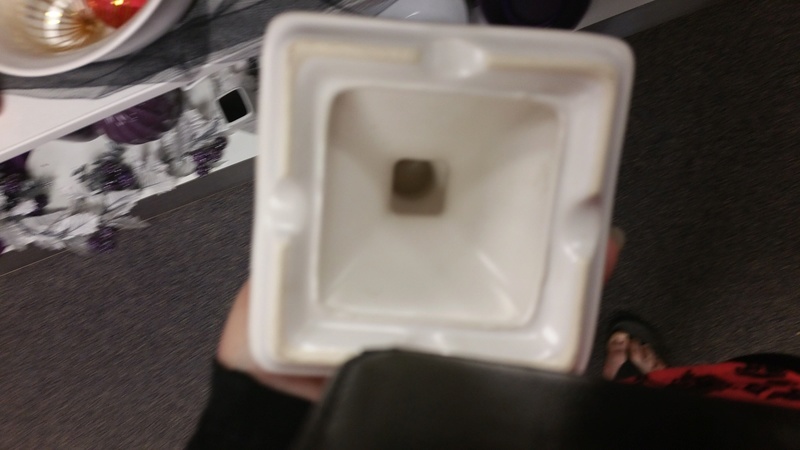 I have 1 black with a square base the other round. The white Is also round.. which means the one I sold at the market that I thought was crown lynn was not .. Oh no.. 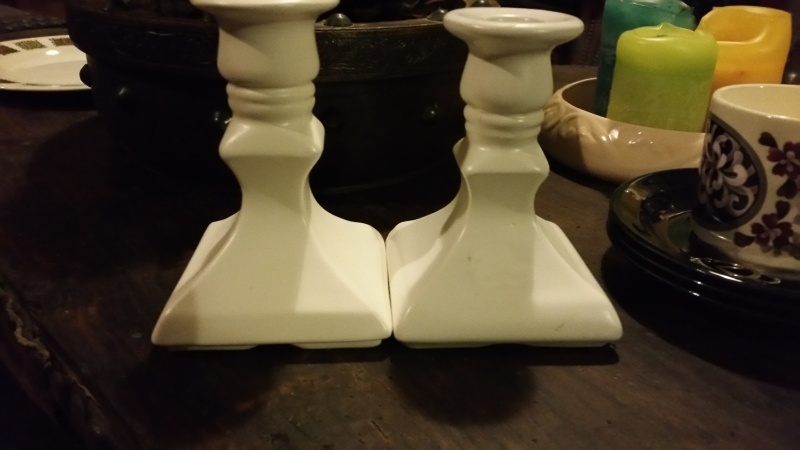 I paid 12 buks on TM as a crown lynn candlestick so I was mislead too.